If you’ve just come home from work on a weeknight, or you’ve got a big chocolate craving and 10 minutes to spare on a Saturday afternoon, these little brownie bites will save the day. I’ve been making these darlings for weeks now in all sorts of shapes and forms (you might recognize them as the brownie fudge bits in this peanut butter banana and fudge swirl ice cream), so it’s only proper they’re documented here. 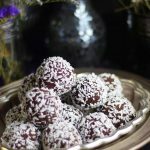 The other day I shared these blueberry coconut bliss balls that unexpectedly went a bit viral (who knew those little cake bites would become so in demand?! ?) These brownie bites actually inspired those blueberry bliss balls in the first place, because I was so enamored with the lovely cake texture, that I had to try out more flavors. Most bliss balls out there are nut / date based, which is great, but, you know… nutty, chewy, truffly, crunchy… If that’s what you’re after, perfect (not a knock against any of those things at all by the way — I LOVE all those varieties). 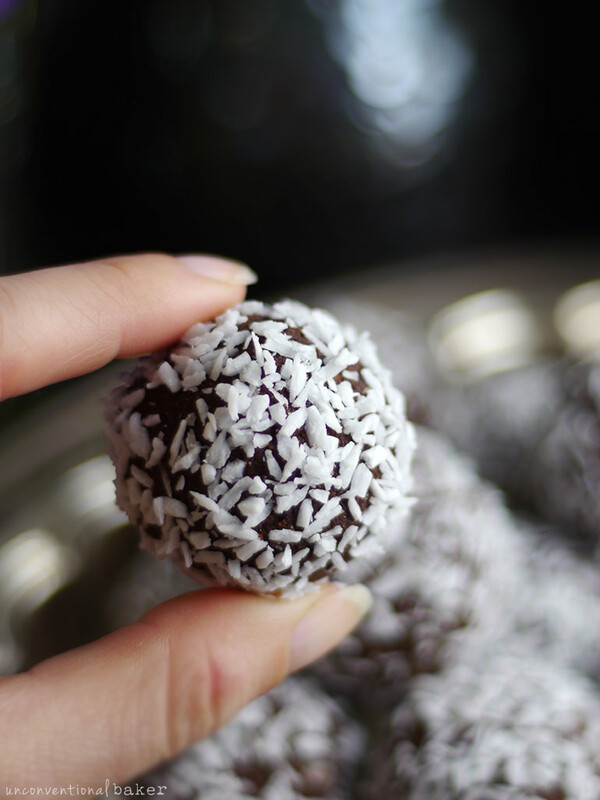 But sometimes you just want a cake or baked-goods texture without having to turn on the oven, and that’s where these coconut flour-based bliss balls really shine. They’re pretty simple in flavor by the way, but if you’re feeling wild you can easily customize with a few tweaks. I added freeze-dried raspberries to one batch… loved it. 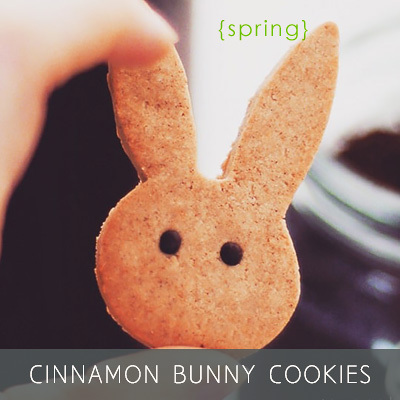 They’d also be great with a pinch of cinnamon or cayenne… or tiny chunks of chocolate folded in. And even ginger — a weird one, I know, but sometimes chocolate with a hint of ginger can be refreshing. Or, if you’re feeling plain, leave them to be the naturally mellow, brownie-ish cake bites that they are — sometimes simple is best! P.S. Note: I edited the recipe as I realized I forgot to note an ingredient down in the original one I shared (sorry, my bad! ? I blame it on too much chocolate on my mind.. ?. In the process though I also remade the recipe and tried it with additional coconut cream and loved the consistency even better so added it as an optional ingredient — highly recommend). 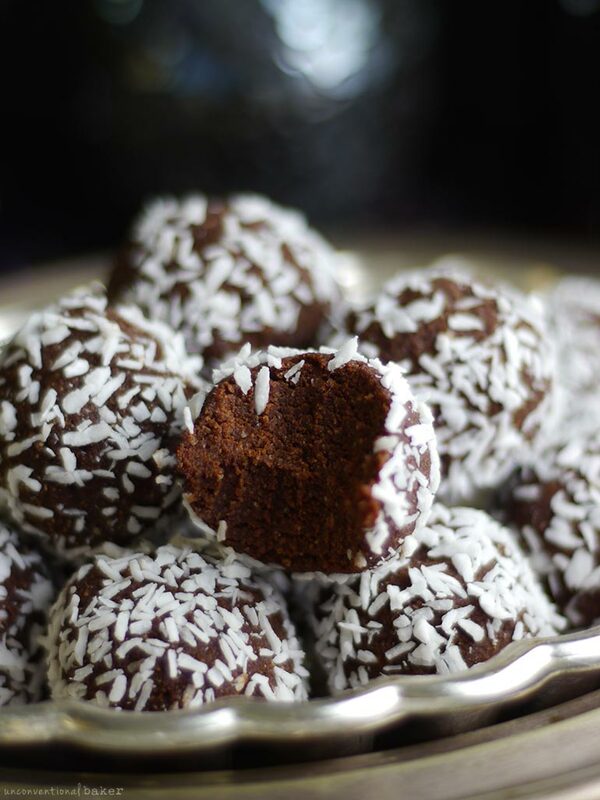 No-bake fudgey brownie bites made with coconut flour. Instant brownies with a baked-goods texture. 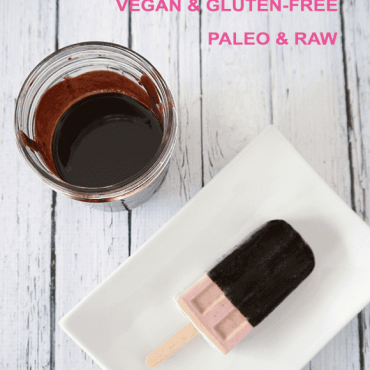 Gluten-free and vegan and super easy to whip up! Process all ingredients, except shredded coconut, in a food processor into a uniform mixture. Allow it to sit for a minute. Meanwhile spread the shredded coconut on a plate. If your mixture seems too liquid, add a few more tbsp coconut flour and process again to combine. Use a 1 tbsp cookie scoop or just pick out even amounts of the dough with your hands and roll the mixture into balls. 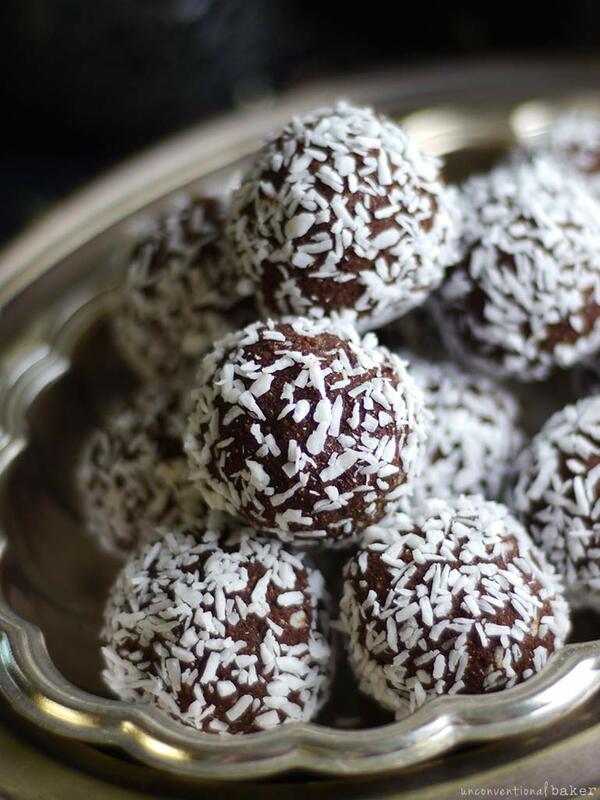 Roll each ball in the shredded coconut and set aside. Let them rest a few minutes and enjoy fresh or chilled! (I liked mine refrigerated). I think these are delicious! I made it how you suggested and added 1/4 tsp peppermint extract the second time. So yummy! Delicious. Thank you! Love making your stuff. These were a breeze to make. 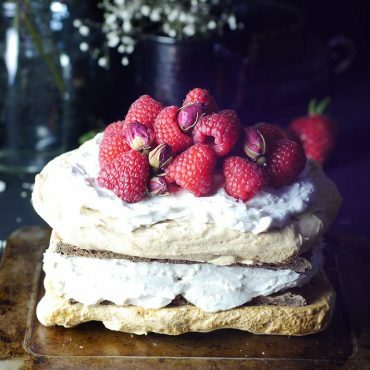 Great recipe and very easy to make. I’ve been packing them as a school snack this week with no complaints — a huge deal around here! :) Thank you! I look forward to trying the blueberry ones next. Hi Maria, thanks for your feedback. Was anything changed in the recipe at all? Or was something left out by accident by any chance (like the coconut flour)? Wondering because this recipe should not be liquid at all, so trying to figure out what might have gone wrong for you. My mom is coming to town to visit me and my boyfriend, and she recently had her birthday! I made these instead of cake and really liked them. Crossing fingers my mom will love them too! I substituted the coconut flour for gluten free pre mix flour and it was basically liquid. Other than changing out the flower I followed the recipe exactly what went wrong? Hi Ashling. Coconut flour is the main essential ingredient in this recipe and can’t be substituted with another flour. Coconut flour is unique in that it’s extremely absorbent, so it requires a lot of liquid to dry it out. If you use another flour, including a gf mix, they just won’t be as absorbent, so you’ll basically end up with what you ended up with — a lot of liquid. Sorry it didn’t work out for you this time around. Hope you can give it a go again with the coconut flour sometime. Last week I made the Blueberry Bliss Balls (and Raspberry, and Strawberry) and they were wonderful!!! Being a chocolate monster I was racking my brain trying to figure out how to make the Bliss Balls with chocolate instead of jam. Today I went looking for some ideas and found these on your site (the first place I looked)! I made a double batch, because Brownies, and rolled some in toasted coconut, some in crushed toasted pecans, a few in raw sugar, and the last four I crushed up some vegan chocolate chips and mixed them into the dough and rolled them into balls. We just have one problem…deciding which ones we like the best!!! Thanks for a fantastic recipe that turned out great and will definitely be repeated. Again. And again. And again. I didn’t care for the texture. Maybe I’ll stir something with texture into them, like nuts. Thanks. I added peanut butter to half the batch and then rolled them in peanuts. They are better but I guess I just don’t care for the texture of the coconut flour. This is my first time using it. I think I will chop some nuts and mix them in to the other batch. Ah, yes, coconut flour has a very particular texture / taste that can take some getting used to. I did the whisking and I loved It very much!!! But we used coconut milk and it turned out to be a little Wobbly so we added more flour and they held their shape! My mom and I got 14 balls instead of the 8 you promised; so lucky us!!! Thanks so much for sharing :) I’m glad you were able to get them to work and even got extra balls out of it! It’s very good, the texture is soft. Since it’s delicious I’ll do it repeatedly. I made them different size balls! These are great. Made them yesterday. Skipped the food processor part and did a quick fork whisk action-it worked, used coconut nectar in place of maple syrup, coconut milk (omitted the coconut cream), added some cinnamon and some almond butter (about 2T’s). 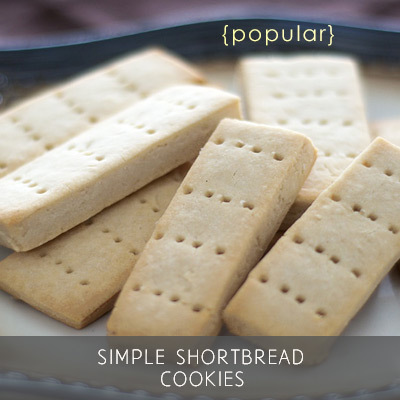 Make these – you won’t regret. Quick and easy with not a lot of effort or loads of dishes to do. Can I use regular flour for these. I don’t like coconut flour. Thanks. 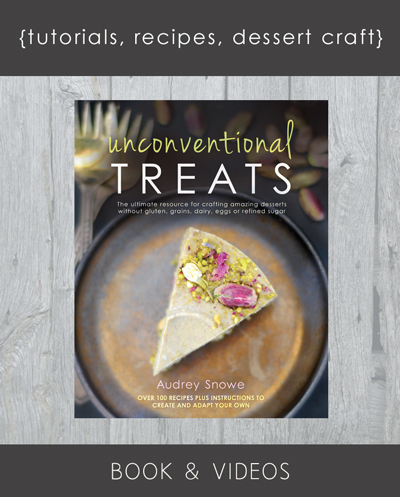 Hi Audrey, it took me a long time to make this recipe as my habitual organic grocery doesn’t sell any coconut flour. At last, I got everything today and I did your receipe (I wrote it a month ago in my to-cook-book… ). The result is great but a little dusty (it might be an inadequat term … I translate directly my French). I was about to ask you about it … but now that I read your blog again and the comments, I understand !! Thanks so much for sharing — I’m glad your kids like them either way. Hope you like it the new way! :) I love mine with the coconut cream lately. Hi Emma, absolutely. Feel free to use agave (or coconut nectar or rice syrup) in pretty much most of my recipes (unless it’s something specifically meant to be maple flavored — like maple pie — you’re good to go). Hi I need some help please! I followed your recipe, not packing in the coconut flour but scooping loosely as you suggested. 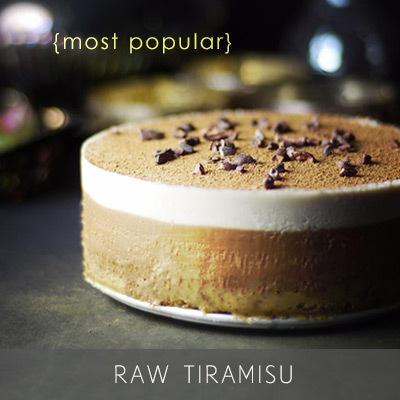 I did use raw cacao rather than cocoa powder. However after blending the mixture was super dry and I added rice milk gradually to moisten it… Ended up adding close to half a litre and on tasting they still left a dry aftertaste, also lacking that beautiful fudgy look and colour :( what would you suggest please? Hi Bec. Oh my goodness… I’m so glad you left your comment because seeing as you’re the second person who mentioned this came out dry I went to re-check the recipe and realized I left out an ingredient by accident when I posted it ????? So sorry about that. The original had 1/2 a cup almond milk or another plant milk in it. But the trick to working with coconut flour is that you have to get all the liquid in there in the beginning. It’s an incredibly “thirsty” flour and once it clumps up it’s extremely difficult to re-hydrate later. But if you add most of the liquids in at the beginning it’s a much easier process (easier to end up with a wetter mixture and add in a bit of coconut flour at a time instead until you reach the best consistency for rolling). I also went and remade it tonight before posting this just to make sure I got it right with that almond milk and all, and for some reason felt inspired to add in some coconut cream (the top white layer from a can of full-fat) and loved the added creaminess it added, so that’s something else you can try. It’s so cool that your recipe contains no nuts or dates because a lot of people might not have them or can be allergic! This is actually amazing because it’s so simple but so delicious!! Thanks so much for sharing this Audrey! Your site is amazing – I’ve been so inspired to shake things up a bit! If I have that bit of unused almond flour on hand, will that work too?? Hi Jamie. You can incorporate some of it in no problem, but it wouldn’t work as a substitute for the coconut flour (because coconut flour is super moisture absorbent in a way that no other flour is). Just like the purple ones, that inside texture looks amazing! It’s funny how the easy unexpected ones are often the ones that really take off…proof that we are all lazy at heart lol ? And these would be a great way to use up that coconut flour I have because goodness knows it never ends well when I try to bake with it? Haha. Actually… shameful confession time: I really don’t like baking with coconut flour. Like I’ve had the same bag of it sitting in my cupboard for the last year and a half (I should prob go throw it out ? )… I have some recipes on here using it — occasionally it makes great stuff, but on the whole it’s just not my cuppa tea. I was at the store and saw a huge sale on what I thought was coconut oil by my favorite brand (it was like a 1/4 of the price I normally pay) so I grabbed two massive tubs of course. When I got home I realized it was 2 huge tubs of coconut FLOUR ?????? And so with this generous overage of coconut flour on my hands I began making all these balls and bites and such — I’m glad it went to good use ? The blueberry balls and these brownie bites were amongst my favorite things to make with it — glad I got some winners out of it after all that. Still have a tub and a half to go through though ?? So it’s not just me! Yeah that stuff is impossible to bake with, I don’t know how those paleo people do it? Oh man, that’s an unfortunate mistake? Props to you for actually making use of it, I would probably just wait till the next food drive and shove that stuff right out the door…not that I’ve ever done that before??? Well, I won’t say the donating option wasn’t tempting… ? ?